People love the look and functionality of outdoor furniture but do not always make the best decisions when buying these pieces. Buying furniture in Columbus Ohio even for your outdoor space does not have to be complicated at all. However you should do a little prior research to help ensure that you make the best decisions possible. #1: Fall in love with the feel first Give your potential outdoor seating the actual sit test. Will it be comfortable even for long term sitting? Will it fit with any tables you may be including? If you absolutely love it but know it could get uncomfortable after a while, is there a way to add cushions and improve the comfort level? #2: Quality is key You want this furniture to be able to withstand the elements, natural wear and tear plus possible storage. While furniture you find at those cute “DIY” assembly required types of stores, this really isn’t the quality you need and not likely to survive even one summer of actual use. #3: Consider the advantages of wood Wood comes from nature, so it only makes sense to put it right back out where it belongs. Seriously though, wood is often the best choice for durable and comfortable outdoor furniture. Moreover, it is easy to get in different colors or stains, and you can also add seat cushions for comfort. #4: Make sure it is stained and treated properly We’ve all seen wood decks that look simply amazing. We have also all probably seen wooden decks that have seen much better days. The difference is usually just because of the stain. Wood needs to be stained properly so it can seal properly. This not only helps it look amazing but helps it withstand the tests of time, as well. #5: Ask for advice Wherever you buy your outdoor furniture, the staff should be knowledgeable about the pieces. So ask questions about how well the pieces will hold up outdoors and if there is any special care required. If the person you are working with does not have any answers for you, it is probably a good idea to search elsewhere. Working with a knowledgeable staff demonstrates the company cares about the customers and not just commission from making a sale. While there are plenty of other things you could consider before buying your furniture, these are some of the most important factors to consider. 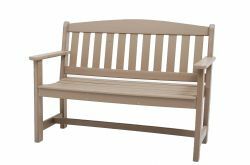 Of course you can get some of the best high quality and handcrafted outdoor furniture made from the finest American hardwoods at Amish Originals. Stop by today and let us show you what we have to furnish your outdoor space.